There are many SQL Server choices available to us as database architects. 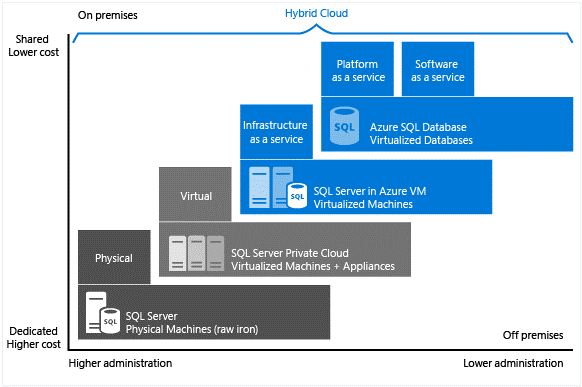 This diagram shows the Microsoft database stack available choices and the business drivers that affect the choice of cost versus administrative overhead. explains in more depth about the cloud options of SQL Server in Azure (IaaS) and Azure SQL Database. Igor Pagliai included this useful table. 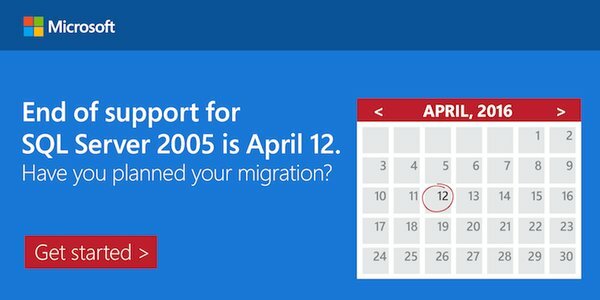 SQL Server 2005 end of extended support finishes 12 April 2016. This means no further hotfixes and support from Microsoft when things fail. There is an excellent article highlighting some of the new features that can be utilized if you upgrade. Enhanced Security features are a must to consider.